The power & utilities industry plays an important role in the economy. The power & utilities industry plays an important role in the economy. The industry is seen to offer attractive investment opportunities in the area of energy infrastructure and nuclear capacity expansion. KPMG's Power & Utilities practice can help through guidance that is creative, proactive, and takes into account critical business considerations. We can help clients adapt to the latest operational, financial, market-oriented, or business-related developments so they may derive greater value from their businesses. Developing and renewing Azerbaijan economic and social infrastructure has become a major national consideration. KPMG member firms have established a network of tax professionals to provide global-standard services to energy & natural resources tax directors. 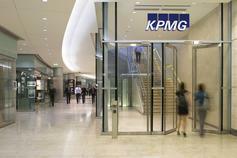 An overview of KPMG’s Deal Advisory, M&A tax services, publications and the latest news. KPMG’s network of member firms are some of the leading tax advisers to sovereign wealth and pension investors in our key markets.